George Washington Law professor Jonathan Turley says two cases paved the way for Friday’s ruling in Virginia that will reconsider four of Lee Boyd Malvo's life sentences. 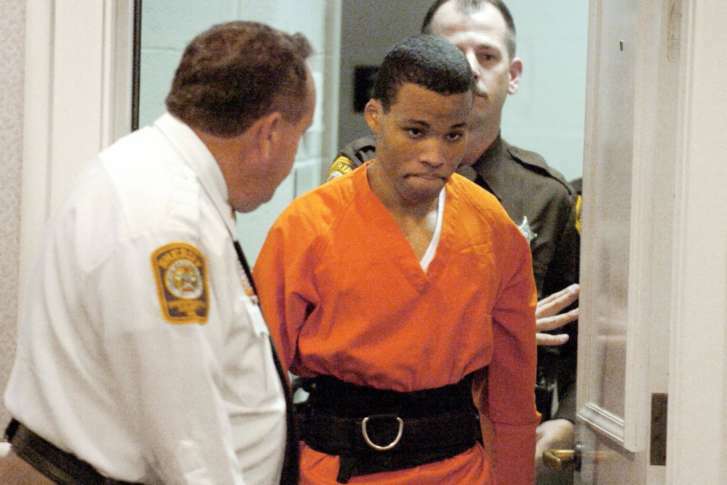 WASHINGTON — Lee Boyd Malvo was half of a deadly sniper duo that terrified the D.C. region in October 2002. Now, a federal judge in Norfolk, Virginia, has ruled that two life sentences in the Commonwealth will be reconsidered based on the U.S. Supreme Court decision that mandatory life sentences for juveniles are unconstitutional. Malvo is currently serving time in Virginia for his role in the sniper shootings that left 10 dead and three wounded. George Washington Law professor Jonathan Turley says two cases paved the way for Friday’s ruling in Virginia. “In many ways, this was an inevitable decision. First, in 2012, the Supreme Court in Miller v. Alabama said that you cannot impose mandatory life without parole on juveniles,” said Turley. It did not, at that time, say whether that type of ruling should be applied retroactively to someone like Malvo, who was sentenced before the decision came down. But it doesn’t mean he’ll go free. Malvo’s lawyers argue their client’s six life sentences in Montgomery County, Maryland, are also unconstitutional. The snipers also struck in Prince George’s County, Maryland, wounding a 13-year-old boy outside a middle school in Bowie. “I know it’s a heavy impact, especially for the families of the victims,” said Glen Ivey, who was Prince George’s County State’s Attorney during these cases. He’s now a partner with the Leftwich Law Firm in D.C.